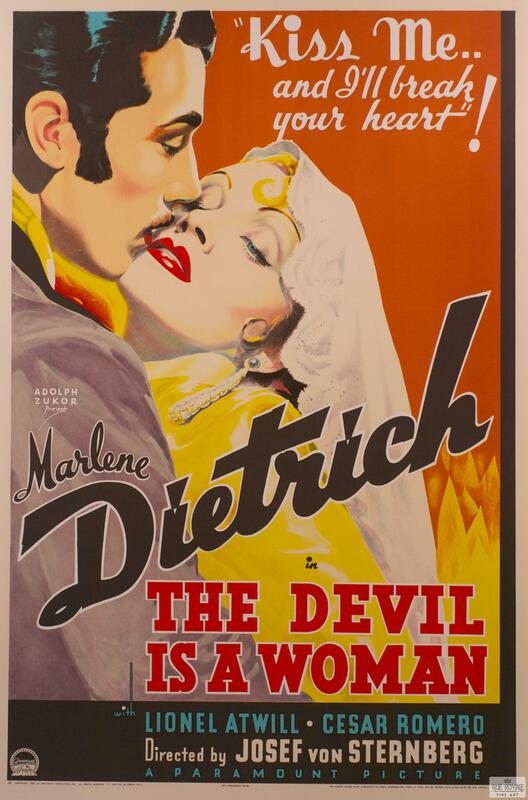 A seductive cigarette factory worker (Marlene Dietrich) captures the heart of a captain (Lionel Atwill), who tries to warn his young friend (Cesar Romero) that Concha (Dietrich) will break his heart as well — but neither man can resist her lure. 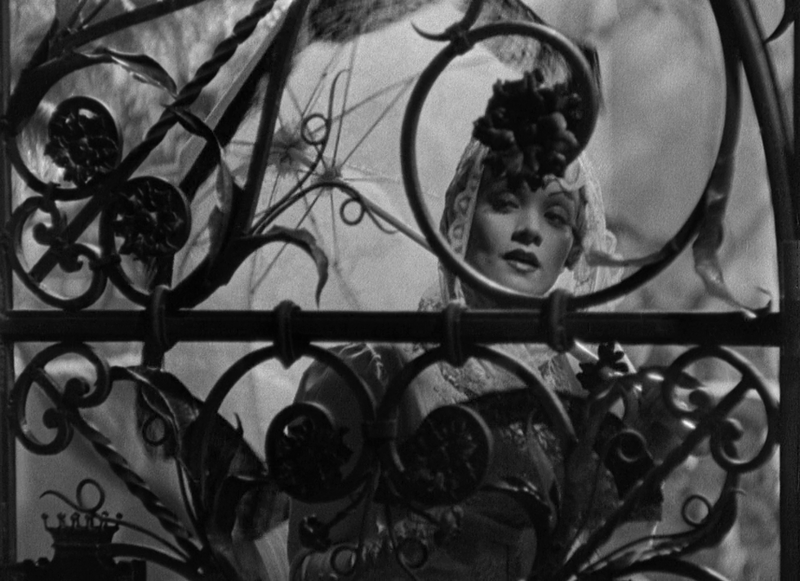 Peary writes that this “last and least of Marlene Dietrich’s films with Josef von Sternberg” — after The Blue Angel (1930) Morocco (1930), Dishonored (1931), Shanghai Express (1932), Blonde Venus (1932), and The Scarlet Empress (1934) — “is set at the turn of the century in a small Spanish town at carnival time (which allows von Sternberg to have fun with costumes and art direction).” He asserts that the “picture suffers from looking too studio-bound and from Sternberg’s decision to let Dietrich play her role with tongue firmly in cheek… giving the impression that all those on both sides of the camera (except the ultra-serious Atwill) were too casual about the film they were making.” I’m equally tepid about this film, which is gorgeous but lacking a plot substantial enough to care about; there isn’t much fun to be had in watching gold-digging Dietrich callously seduce the men around her, or the men themselves being destroyed. No; you can skip this one. I viewed this with low expectations – and found myself, from start to finish, completely swept up in it. 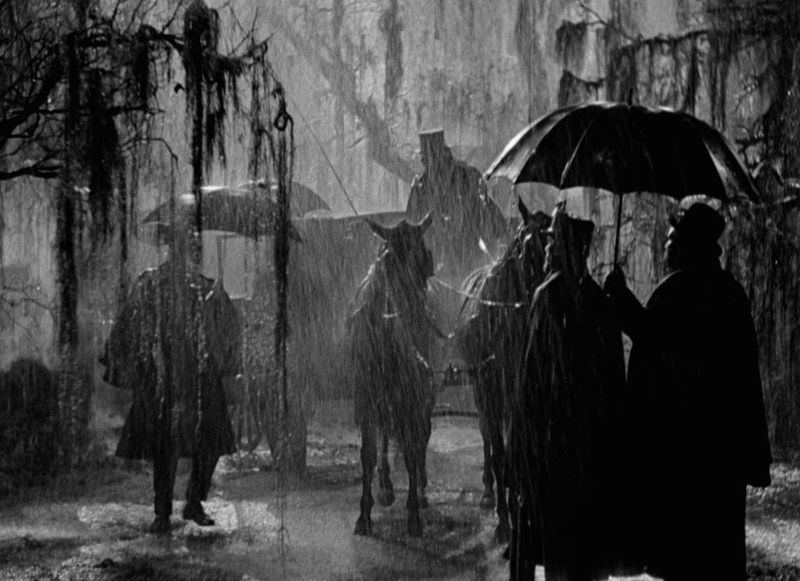 ~which is odd because, on a surface level, the film is patently absurd. But this is a film that may best be appreciated if it isn’t taken that seriously. Myself, I was interested in its take on those who are not onto themselves when dealing with certain mysteries and contradictions of the heart. The three leading characters are types who traffic in self-delusion – but it’s that very frailty that makes for cinematic conflict. 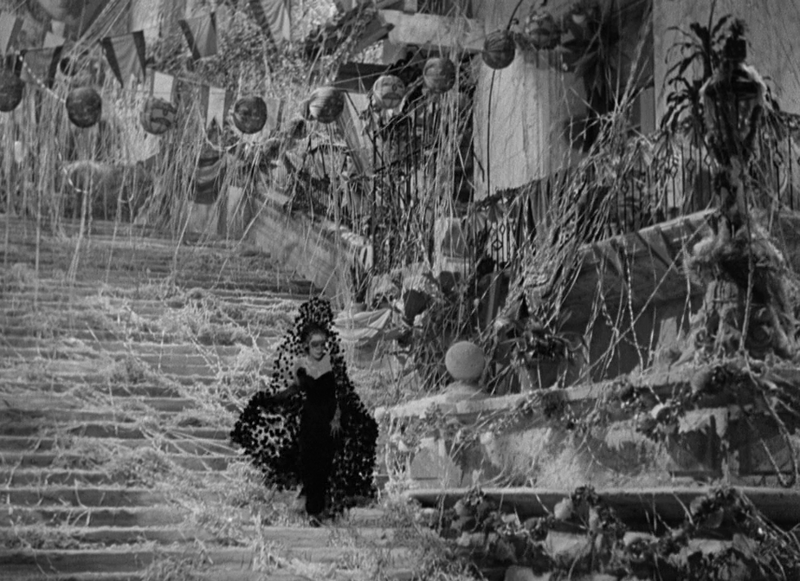 It’s to von Sternberg’s credit that he makes his triangle compelling when it probably shouldn’t be. 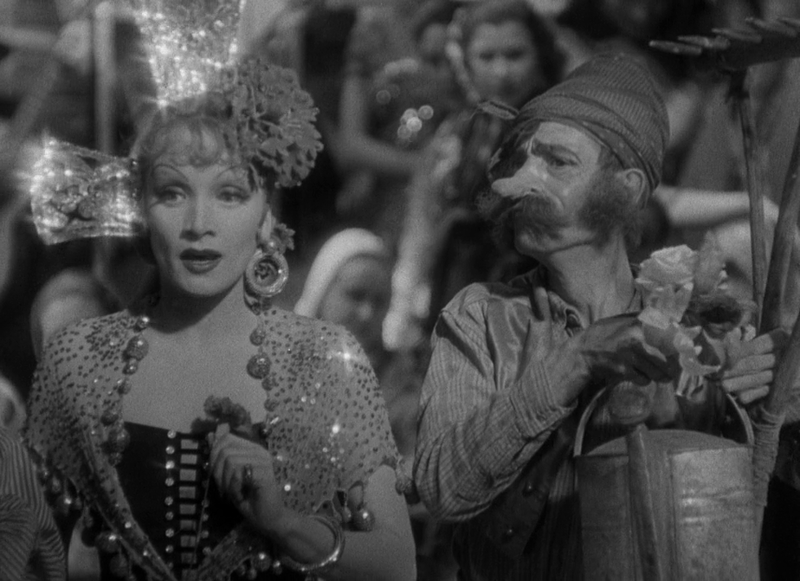 Side mention of Edward Everett Horton as the governor: Horton, in particular, seems to have reaped the benefit of working with von Sternberg. He’s usually relied on to be simply goofy in a film but here he’s not only macho but has singular presence. This may be my favorite performance of his.